What Is A Radiology Nurse (CRN)? According to this website a radiology nurse “provides for the physical, mental, and emotional needs of the patient who is undergoing tests or treatment in a radiology department”. Radiology is the practice of taking x-rays and other images of an individual’s internal structure in order to determine the cause of a problem or the extent of the damage caused by an injury. The aim is to ensure that patients’ understand that procedure and to help them recover. A radiology nurse can perform examinations. A radiology nurse can carry out preventive health measures within prescribed guidelines and instructions. A radiology nurse can record physician findings. 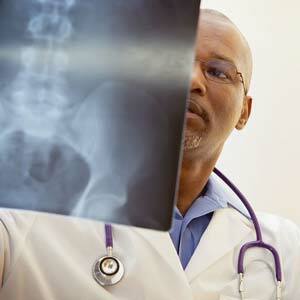 A radiology nurse can discuss cases with either the radiologist or other health care professionals. A radiology nurse can assist during examinations or therapy. A radiology nurse can administer IV dye. A radiology nurse can administer rectal contrasting agents. A radiology nurse can administer certain types of conscious sedation methods. As this is quite a technical nursing specialty your skills will be required and the job will not be able to be done by an average Registered Nurse. Consequently employment for this sector of nursing looks very good and you will find a particular setting that will suit your needs and personality without very much trouble at all. Your RN license is obtained after you attend an accredited RN program that allows you to sit for the national licensing exam, or the NCLEX-RN. In addition to being accredited, the program that you attend should also be adequate in terms of preparing you for the examination. To become certified you must pass the Certified Radiology Nurse examination. This can only be done after you have achieved the relevant number of hours of clinical practice as a registered nurse working in the field of radiology. The educational and certification requirements are fairly complex, but these are the basic requirements that you will have to meet to be a nurse in this area. If you feel that you lack these traits and that you are not likely to develop them perhaps you should not consider a career in nursing at all. There are a number of education requirements that you will need to get through in order to become a radiology nurse. The first requires you to earn a Nursing Diploma, an Associate of Science in Nursing (ASN) or a Bachelor of Science in Nursing (BSN). This could take as long as four years to complete depending on the qualification you aim for. Then you have to sit and pass the NCLEX-RN exam which is the national licensing exam for RNs. There is a certain amount of experience that you will have to have to become a radiology nurse. Once you have the right experience the next educational requirement is that you earn 30 hours of continuing education in the specialty of radiology. Las, but not least, you must sit and pass the Certified Radiology Nurse Exam. The only licensure involved in becoming a radiology nurse is your RN license, which you have to hold before you can be accepted into a degree program with a focus on radiology nursing. In order to get this license you will have to first complete your undergraduate qualification in nursing. This must be done at an accredited school. Once you have done this present the transcript of your studies to your state’s board of nursing. Apply for a license. If you are approved you will then have to write the NCLEX-RN examination in order to actually receive your license. The test is computer based and lasts 2 to 5 hours depending on how long it takes you to answer the questions. When you pass the test your state board of nursing will license you. To become a radiology nurse you must first get your RN license. After that you need to work as an RN for 2,000 hours in radiology, and earn 30 hours of continuing education in the specialty, following which you must pass the Certified Radiology Nurse exam (for which there are both online and face to face training classes to assist you with the theory side of things). According to www.discovernursing.com you will be able to advance your career by focusing on “sub-specialties like computed tomography (CT), breast imaging, ultrasound, magnetic resonance imaging (MRI), vascular/neuro interventional radiology, endovascular clinic, nuclear medicine, or fluoroscopy“. These specialties will make you particularly sought after in certain areas of nursing and therefore more likely to be employed. However there are many more options than these available in your state. The school itself should also provide information on accreditation, and if it does not it should be treated with suspicion. Earning your associate’s degree is your first step to becoming a radiology nurse. An associate’s degree is earned from a nursing school that is accredited by the National Council of State Boards of Nursing (NCSBN). As mentioned above, the school must be accredited or else you will have wasted your time. An associate’s degree in nursing will take a few years to complete, so be certain that you have the time and the resources required in order to finish the qualification. There are opportunities for advancement in this regard. You could, for example, go on to earn a master’s degree in nursing which will boost your credentials and enhance your resume when looking for a job as a radiology nurse. Experience is always necessary for a career such as this. Once you have done all of the above you will be eligible for licensing as a radiology nurse and you will receive your certification from the relevant body. The journey to becoming a radiology nurse is a fairly long one as you must first become an RN. However it is worth the time and effort in the long run. Your basic RN training can be completed online. However it is important to note that, because of the nature of the coursework that you will do, only part of the information will be studied online while the rest will have to be learned in a clinical setting. This is because, in order to become an RN, you have to complete a set amount of clinical training during your studies that will qualify you to work as an RN. This is unavoidable and, clearly, cannot be done over the Internet. Any course that claims to offer training entirely online is being less than honest and should consequently be treated with deep suspicion. Although there are advantages to online training, face to face classes provide a more comprehensive idea of what you will need to know to be a nurse. The number of nurses employed as RNs is expected to grow by about 22% by 2018 (from 2008). This is a far higher growth rate than we are expecting to see for any other profession. A nurse with a specialization in radiology will also benefit from this increase in the industry. In addition, because the technology used in radiology is always improving, nurses in this line of work will also be required to obtain higher skill levels. Professionals with knowledge regarding the technical side of radiology will be in high demand as it is a job that clearly cannot be performed by simply anyone. Consequently the job outlook is good as your specific skill set will be coveted in any health care facility where radiology equipment is used and treatments are performed on a regular basis. Other factors that can affect how much you earn as a radiology nurse are the industry that you work in, the employer that you work for, the exact city that you practice in, the level of education that you have obtained, and your gender. His is quite a technical nursing specialty that will require you to have a love of technology as well as an ability to learn about how to use new technologies. Because of the nature of the work, and because of the constant advancements being made in all technological fields, continuing education will be required in order to maintain your radiology nursing certification. In addition you will also have a stronger sense of confidence in your skills as a radiology nurse if you take it upon yourself to stay abreast of the various new developments in the industry. This niche in the nursing industry is looked upon with great respect.